Unica – Abitare e Tecnologia has opened a new point of sale at Sottomarina (Chioggia, Venice – Italy), a well-known holiday resort on the Venetian lagoon, presenting Pedini Cucine. 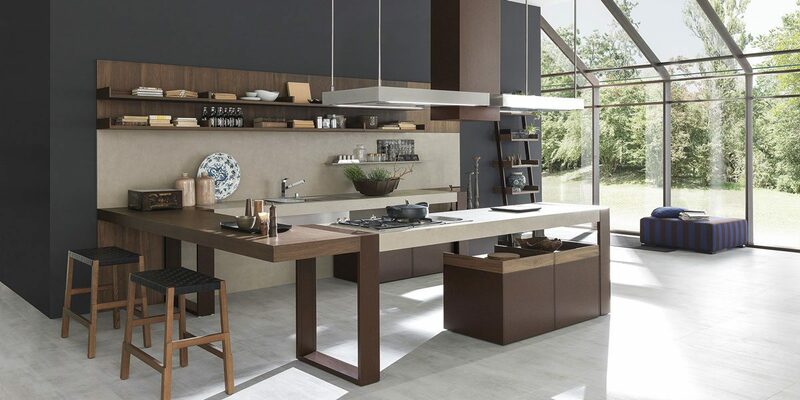 The attractive, stylish interior is dominated by one of the most iconic Pedini models, Arts&Crafts, embodying a concept of the kitchen as laboratory, where everyone can express themselves by experimenting with food and design. But above all a kitchen strongly focused on interior design, which also reaches out to the other rooms in the home, especially the living room. Unica – Abitare e Tecnologia, which already has a historic store near Padua, is led by Mirko and Manuel Gobbato in partnership with designer Cristiano Longhin, in charge of the Sottomarina showroom. A quality, made-to-measure design and consulting service guides customers through a totally customised purchasing experience, to respond to their wishes, their functional needs, their passions and their lifestyles with the best Italian design quality and technology. Pedini partecipa da protagonista alla storia della cucina d'arredamento da oltre 60 anni.